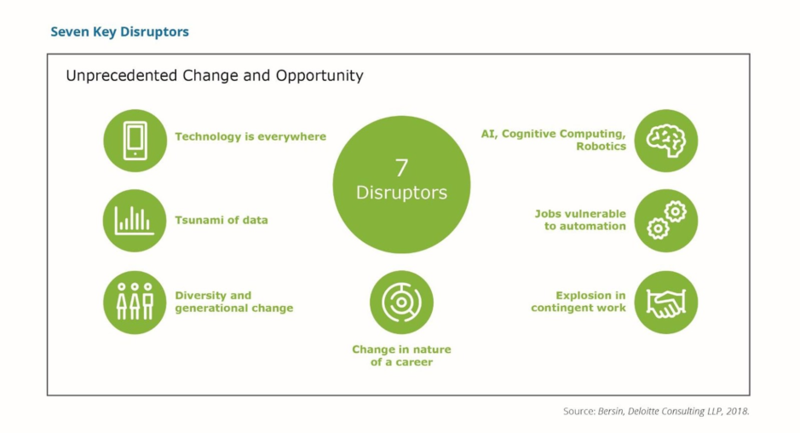 Research by Deloitte Consulting shows that there are seven powerful disruptors reshaping work as we know it. In order to address these disruptors, business leaders need to engage in transformative thinking that will not only re-design but re-imagine the way work gets done in their organizations. 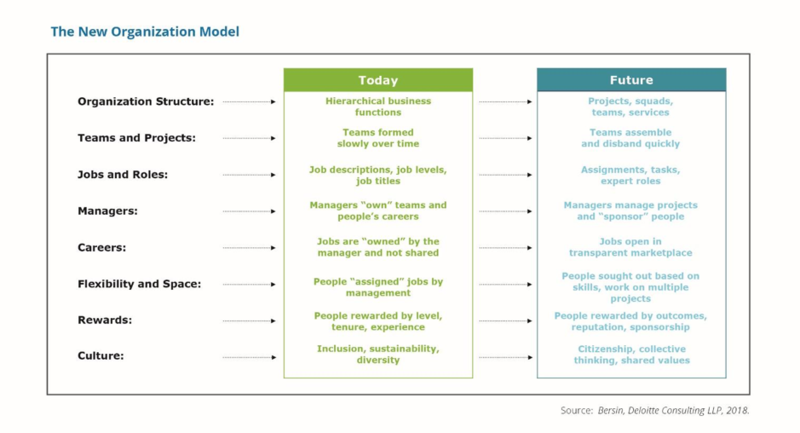 They need to think big, start small, become more agile, and - ultimately - move faster than the new realities of work. To be sure, the likelihood of an entire profession disappearing due to automation is low. It is far more likely that parts of an occupation will be replaced by technology. Human talent will be working alongside artificial intelligence, machine learning, natural language processing - or anything that can replace tasks in a business process and make them quicker, more accurate, and less costly. In this scenario, the most suitable resource, be it technological or human, can now be matched to deliver the most productive outcome. From the workers’ perspective, such augmentation through technology means people can now decide where best to work, whether it’s from an office or at home, in a satellite space, or in shared workspace. 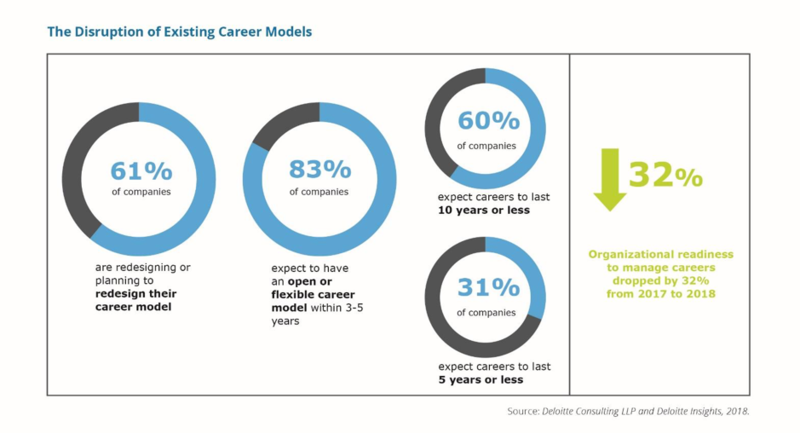 This fits the Millennial and Gen Z value of flexibility in the workplace - a key finding from the Deloitte Millennial Survey 2018. For these workers, the gig economy’s increased income potential and flexibility hold great appeal. According to the survey, a clear majority have already taken on such roles or would consider doing so.